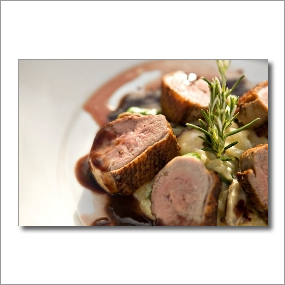 Delicate Palate Bistro is fast becoming the premier fine dining establishment in Tillamook County and the Oregon coast. Chef Bruce Sievert offers some unique offerings (lamb shank, duck breast, pot pies, etc. ), while bringing his own creative dishes. His crab cakes are superb, and his secret marinade for his calamari ensures their tenderness. The Delicate Palate proudly serves only naturally farmed meat that has been raised with no added hormones or antibiotics and with the animals fed a natural vegetarian diet, absolutely no meat bi-products. Featured fare includes a mix of seafoods, meats, specialty wild game, and fine wines. Plan your visit to Lincoln City. Lincoln City Motels and Hotels.